At Brooks Landscaping LLC, we are able to tailor a custom landscape maintenance program to fit your needs. As a well rounded company, we are committed to providing practical, timely, and professional landscape services for your yard. Our landscape specialists understand there are different needs for each landscape, and our goal is to improve and create a more easily maintained landscape that looks great and leaves you satisfied. Whether you are looking for edging and mulching or a spring or fall cleanup, Brooks Landscaping LLC is here to offer knowledgeable and responsive landscape maintenance services. Solving landscape maintenance issues, with practical solutions. Our goal is to improve your landscape and use proper techniques to establish a yard and landscape that is easier to maintain. When you are ready to hire a professional to take care of your landscape, Brooks Landscaping LLC will create a custom landscape maintenance package fit to your needs. You will find that we have the knowledge, responsiveness, professionalism to offer the highest-quality landscape maintenance services in Woodbury Connecticut and beyond. 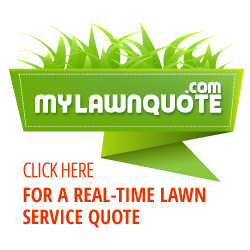 Contact us today to get a maintenance quote to fit your landscape's needs. Our focus on experience and attention to detail is what makes our maintenance services stand out from the rest. We work to solve any landscape maintenance issues with your home by using a practical, wholistic, approach.